You maybe have heard somewhere along the road that protein drinks post workout enhance muscle synthesis. So, naturally you reach for a protein shake. 20 grams, 30 grams, heck 60 grams of protein and gulp- down it goes! Many of us consume protein shakes post workout with very little understanding of the type of protein we are consuming and just how much we need. There are so many different types out there and purposes so let me provide you with some clarity on your quest to optimal protein ingestion. How much do I need? According to one study, the muscle protein response in both young and older adults was found to plateau at approximately 10 grams of indispensable or essential amino acids. As muscle protein synthesis plateaus, the “extra” amino acids are simply being burned for fuel. In contrast, according to another study, consuming 20 grams of high-quality protein will optimally maximize the stimulus of muscle protein synthesis. In my own research it has been suggested that 25-30 grams of protein be consumed post-workout- no more! You will either use it for fuel or pee it out. 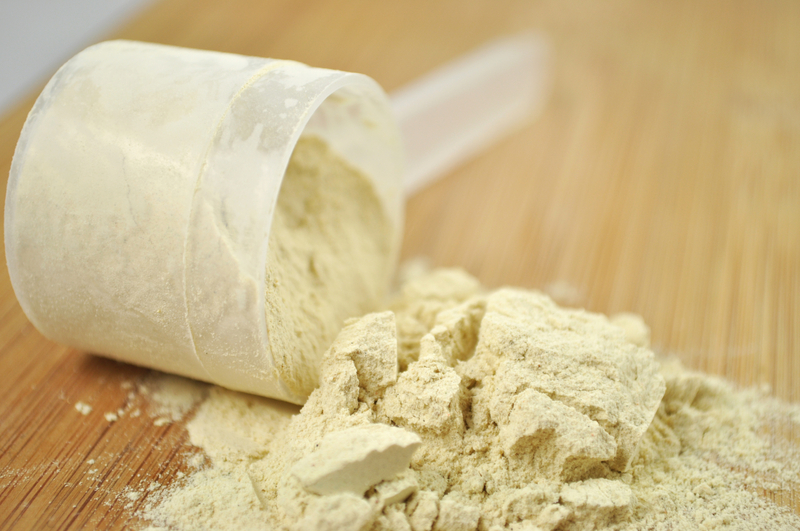 Protein powders are expensive so don’t use more than you need! Whey protein is the liquid part of cow’s milk that separates from the curds- think cheese for example. Whey is highly bio-available, digestible and rapidly absorbed by our body. It therefore, digests quicker than most proteins, allowing it to be an ideal protein post-workout when your muscles are itching for protein and quickly to begin the repair process asap. Whey is rich in amino acids, such as lysine, tryptophan, cysteine, and isoleucine with the benefit of muscle gains being primarily related to leucine. Remember, high doses may cause some side effects, such as GI issues, nausea, thirst, swelling, cramps, appetite reduction, and fatigue. There is also no guaranty of the purity and security of supplements available in the market. Casein is a milk protein extract and is slowly digested by the body. This means you want to consume this protein at night or before bed so that your body continues to repair muscles overnight. If we are trying to build muscle, switching over into a catabolic state is not advised and therefore casein helps prevent this process. Casein also tends to have a neutral flavor and can be easily tolerate by most. Because it is more slowly digested it tends to cause a feeling of satiety and can also be used as a weight loss supplement. But the biggest reason for use of casein would definitely be to prevent catabolism. These are considered your vegetarian proteins and are less bioavailable than whey and casein. Rice protein powder is created by isolating the protein from the brown rice grain. If dairy protein powders cause discomfort, these may be a great choice! These protein powders also have a more distinct taste that whey and casein and will not mix into water quite as well. Rice protein is high in cysteine and methionine, but low in lysine. Pea protein, on the other hand, is low in cysteine and methionine but high in lysine. Therefore, the amino acid profile ends up comparable to dairy or egg proteins when mixed together, but without the potential for allergies. Great option for vegetarians and vegans who may not consume enough protein! Hall WL, et al. 2003. Casein and whey exert different effects on plasma amino acid profiles, gastrointestinal hormone secretion and appetite. Br J Nutr. Feb;89(2):239-48. Cuthbertson, D., K. Smith, J. Babraj, G. Leese, T. Waddell, P, Atherton, H. Wackerhage, P.M. Taylor, and M.J. Rennie (2005). Anabolic signaling deficits underlie amino acid resistance of wasting, aging muscle. FASEB J. 19: 422-424.